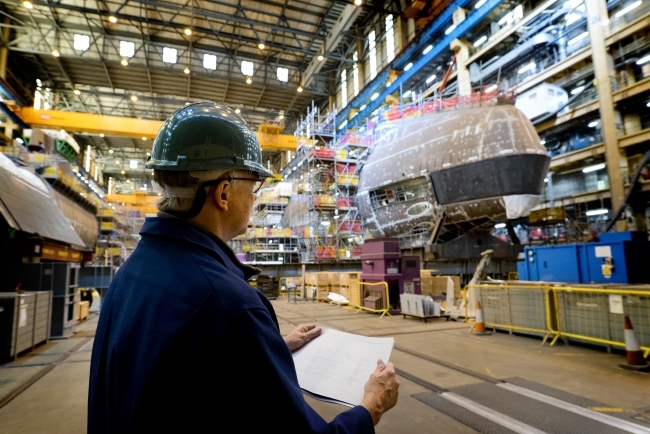 Defence Secretary Gavin Williamson has announced a £400 million funding boost for the Dreadnought programme, as he opened a new training academy and revealed the name of the second Dreadnought submarine. Cliff Robson, Managing Director of BAE Systems Submarines, concluded: “This is a fantastic facility that will provide a unique environment in which to train our growing workforce. Our investment in skills will not only ensure we have a pipeline of world-class talent available to deliver our complex programmes, but will also positively contribute to the economic prosperity of the region and the UK’s engineering industry. The funding announcement comes a year after the launch of the Government’s Industrial Strategy, which set out a long-term plan to boost the productivity and earning power of people throughout the UK.